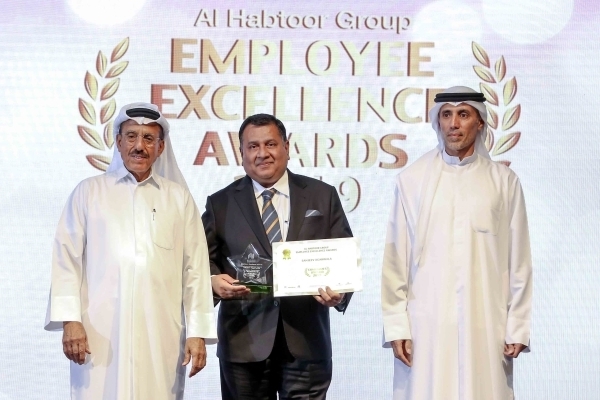 Khalaf Ahmad Al Habtoor, Founding Chairman of the Al Habtoor Group recognized and rewarded exceptional talent at the Al Habtoor Group’s annual Employee Excellence Awards. 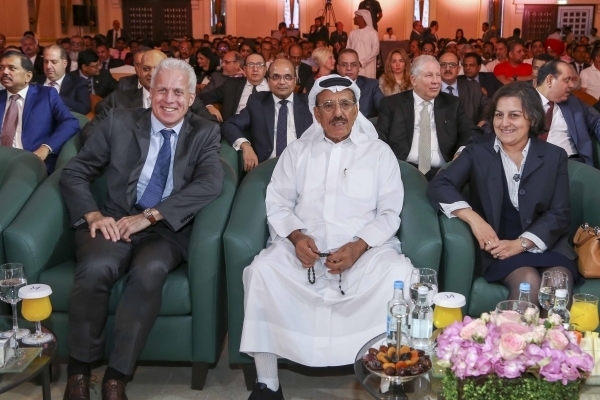 Chairman Al Habtoor personally congratulated each of the winners at the 12th edition of the awards ceremony hosted at the Al Andalus Ballroom at the Habtoor Grand Resort, Autograph Collection. This year’s prizing giving event welcomed special guests including Her Excellency Raja Rabia, Consul General of France in Dubai, Her Excellency Marcy Grossman, Consul General of Canada, His Excellency Andrew Jackson, British Consul General, His Excellency Wael Fathy, the Deputy Consul General of Egypt, Mohammed Al Habtoor, Vice Chairman & CEO and senior management from across the Group’s businesses. Established in 2007 by Khalaf Ahmad Al Habtoor, the annual Employee Excellence Awards ceremony brings together all of the Group’s business units to recognize top talent including Habtoor Hospitality, Al Habtoor Motors, Diamondlease, Emirates International Schools (Jumeirah & Meadows), Al Habtoor Real Estate, the Group’s head office and La Perle by Dragone, the region’s first permanent aqua show performed at the Al Habtoor Theatre. 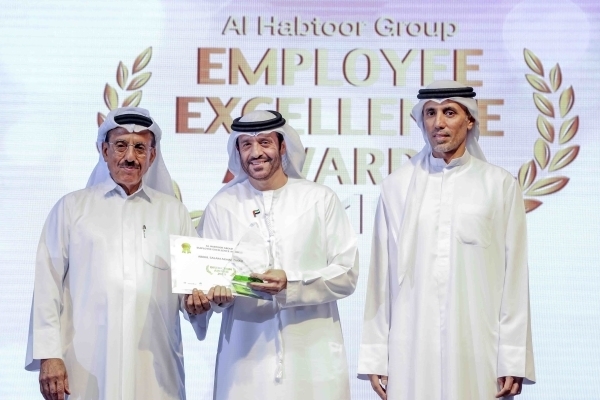 The winners, nominated by their managers, were selected from over 100 nominees across the Al Habtoor Group’s units. The submissions underwent a rigorous process, which, once selected were reviewed by working committees established across the Group. There were seven categories in this year’s event: Individual Excellence Award, Milestone Award, Departmental Award, Centre of Excellence Award, Distinction Award, CSR Award, and Chairman’s Award. In addition, a new award was launched, the Social Ambassador Award, recognizing those who best communicate about the Group and its brands with high volume interactions, reach and use of hashtags. The Chairman presented a total of 31 awards to recognize the high performers and teams across all the Group’s units. Each of the winners received an engraved trophy, a certificate and a monetary prize. Chairman Al Habtoor personally selected three awards this year: One in the Chairman’s Award category and two in the Distinction Awards category. Sanjeev Agarwala, Chief Operating Officer – Real Estate and Investments received the highly acclaimed Chairman’s Award. 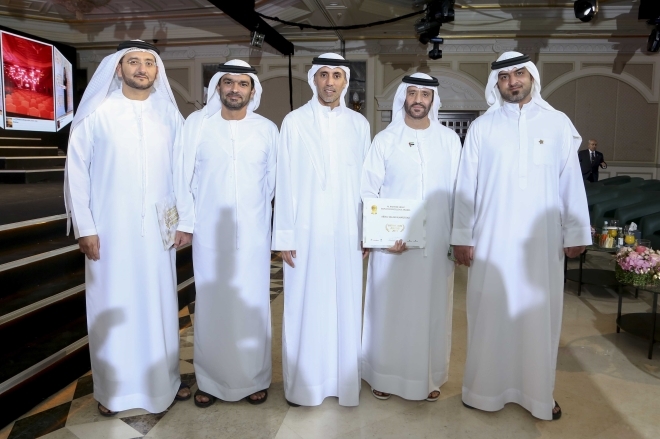 The Distinction Awards were awarded to Abdul Salam Marzooqi, Director of UAE Affairs and Community Relations and Mohammed Younes, Senior Manager – Legal Affairs from the Al Habtoor Group. The special occasion to honour the Group’s incredible employees was streamed live around the world. The event also broadcast a surprise video featuring the Group’s senior management team recollecting their early years with the Group and giving thanks to Chairman Al Habtoor. A total of 18 awards were given in the Individual Excellence Awards ca, which recognizes exemplary staff with less than 15 years of service, were won by Ahmed Elsayed Mharem, Assistant Manager, Legal Department, Al Habtoor Group; Amr Ahmed Marei, Legal Executive, Legal Department, Al Habtoor Group; Anas Alsayed Almarzooqi, Group Head of Security, Community Relations & Safety, Al Habtoor Group; Gilda Castro Rios, Art Manager, Media & Communications Department, Al Habtoor Group; Jonathan Pangilinan Juan, Assistant Manager, IT Department, Al Habtoor Group; Mustafa Yousef Khalil, Visa Specialist at Al Habtoor Motors; Arumugam Giridharan, Procurement Incharge, Procurement Department, Al Habtoor Motors; Mahmoud Elsayed Khater, Maintenance Manager, Maintenance Department, Al Habtoor Motors; Ralph Henry James Holmes, Credit Administration Assistant at Diamondlease; Usman Chalil, Used Car Coordinator, Used Car OP, Diamondlease; Jelbeth Faburada Domocol, Accounts Receivable Executive, Metropolitan Catering Services - Habtoor Hospitality; Shadi M. Bashir Hashem, Senior Sous-Chef, Metropolitan Catering Services - Habtoor Hospitality; Bahman Mansoor, Complex Director of Government Relations & Protocol, Al Habtoor City, Hotel Collection - Habtoor Hospitality; Pukh Raj Panwar, Head Groom, Al Habtoor Polo and Equestrian Club - Habtoor Hospitality; Regesh Kuthirummal, Accommodation Maintenance Engineer, Habtoor Grand Resort, Autograph Collection - Habtoor Hospitality; Joaquim Manuel Fernandes, Director of Finance, Metropolitan Hotel Dubai - Habtoor Hospitality; Dr. Ishrat Jehan, School Doctor, Emirates International School – Meadows and Pearl Elizabeth Demosthenous, Year 6 Educator, Emirates International School – Meadows. 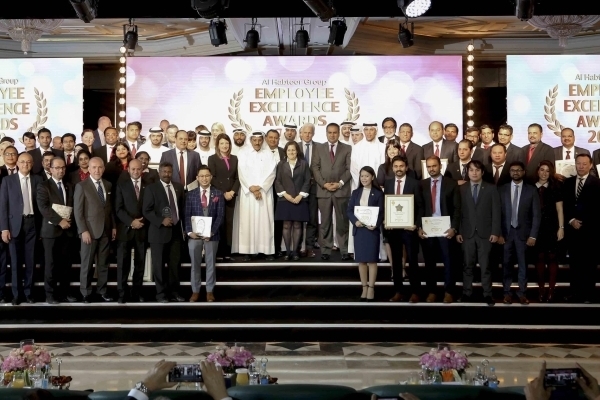 The Milestone Awards, which recognizes staff who have been with the Group for at least half of the number of years of the respective unit, went to Pradeep Kumar Paluthodi, Finance Manager at Diamondlease and Andre Joaquim Socorro Afonso, OSC/Contact Catering Manager from Metropolitan Catering Services, Habtoor Hospitality. The Corporate Social Responsibility Award was presented to both Emirates International School – Jumeirah and Emirates International School – Meadows for a fourth year running, for their active role in CSR. The Departmental Award winners were the HS & PS Inclusion Team from Emirates International School – Meadows who have moved their KHDA rating from good to very good by displaying a strong ethos of inclusivity for all students with special needs and disabilities; the Fleet Distribution Department from Diamondlease for achieving a growth of 131% in Net Profit and a growth of 174% in Used Car Profit in 2018; and the Health and Food Safety Department at Habtoor Hospitality for the initiatives taken to develop and implement resilient Food Safety systems. The highly sought-after Centre of Excellence Award went to Al Habtoor Real Estate led by Sanjeev Agarwala, Chief Operating Officer – Real Estate and Investments and Ghalib Abdulla Bin Kharbash, General Manager – Real Estate; Habtoor Grand Resort, Autograph Collection, led by Kamal Naamani, Managing Director – Hospitality and Leisure Projects UAE, Habtoor Hospitality; Diamondlease, led by Partha Barua, General Manager; and Emirates International Schools headed by Amna Al Habtoor, Director of Schools, Emirates International Schools. 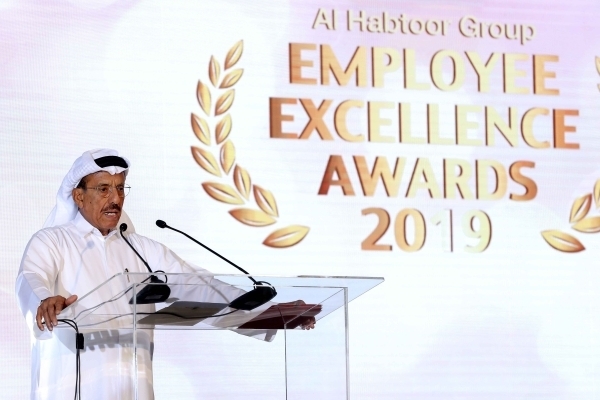 The 12th edition of the Employee Excellence Awards ceremony kicked off with a special thank you message from employees who have been with the Group for more than 20 years, so-called Long Serving Habtoorians, and the Group’s senior management team, including Maan Halabi, Managing Director, Al Habtoor Group Yusef Shalabi, Technical Advisor to the Chairman, AL Habtoor Group, Mohammed Al Mazrooei, Executive Director, Al Habtoor Group and Sanjeev Agarwala, Chief Operating Officer – Real Estate and Investments, Al Habtoor Group. Noura Badawi, Chief Communications Officer, Al Habtoor Group was joined on stage by Year 12 and Year 13 students from Emirates International School Jumeirah and Meadows, who volunteered to co-present during the live ceremony. The evening programme also included a musical medley performed by the Begimay Abdysamatova, a box office agent at La Perle by Dragone and Anvar Ushurov, an usher at La Perle by Dragone.